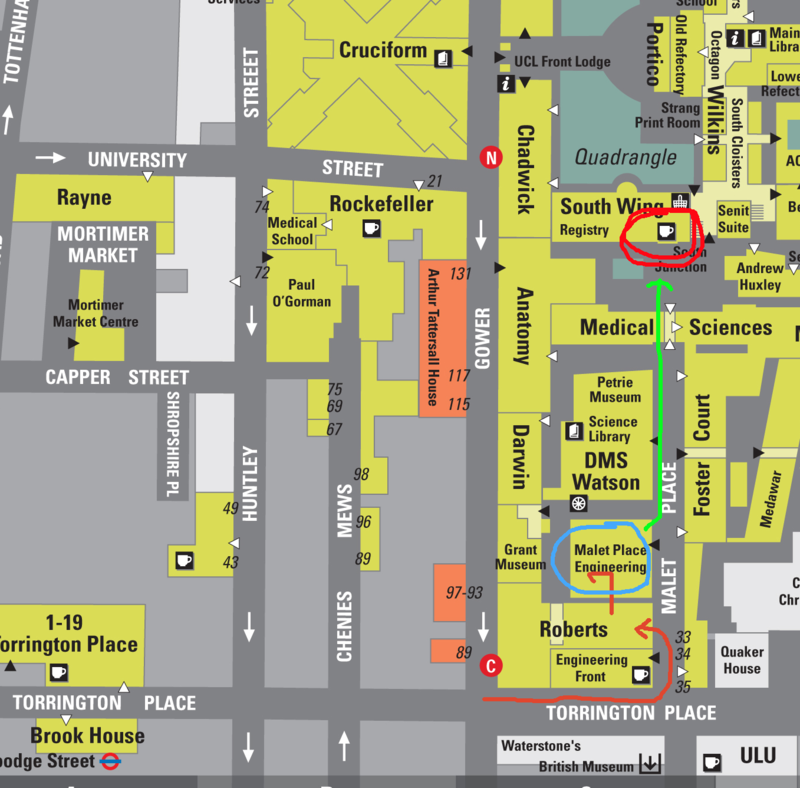 March’s BioGeeks tech meet will be on Thursday 24th March at University College London, Bloomsbury Campus, from 6pm. We’ll have 2 talks. All welcome! Be aware: the first 20 people to enter the conference room will receive a voucher for 2 free drinks and some food after the meeting! Help advertise this event, put up a Poster! We’ll take a look at NVIDIA’s CUDA architecture which gives us a massively parallel supercomputer for the cost of a conventional PC gaming graphics card. We’ll take a look at the C++ and Python interfaces along with some mathematical and physics simulator case studies showing 100* speed-ups. The talk is high level and won’t dwell on the programming. The inference of novel causal and associated genes, given a disease of interest, is an important task at the interface between medicine and the biological sciences. Genes relate to each other in many ways, each type of information revealing another aspect of a complex picture. For example, data on human gene-gene relationships is now available from analyses of multiple transcriptomics and proteomics experiments, from genome annotations via the concept of semantic similarity, and more generally through text mining resources. Although several tools are available to produce lists of candidate genes to be tested for roles in a particular disease, existing methods are often based on a restricted number of input data types, and as such cannot integrate all of the available evidence. Tools that do exploit multiple data sources do so in a uniform manner, so that each data source is considered to have the same importance as the others, across all diseases. We have recently developed an integrated, network-based approach, in which the evidence from each data source is combined with that of the others in proportion to its predictive value for a particular set of input genes, leading to better results and supporting a greater understanding of the different causal pathways of genetic diseases. The talks will be followed by a discussion on possible future workshops. Vouchers for 2 free drinks and food will be given to the first 20 people to enter the conference room! This entry was posted in Event, Meeting, techmeet. Bookmark the permalink.